Reigate will be getting into the Christmas spirit on Saturday 1 December 2018, as Santa makes his annual visit to Priory Park by helicopter and the Reigate Christmas Fayre takes place in Church Street. 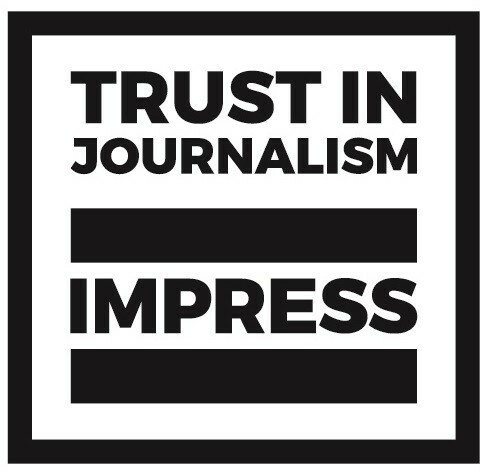 Details of the two events are below. 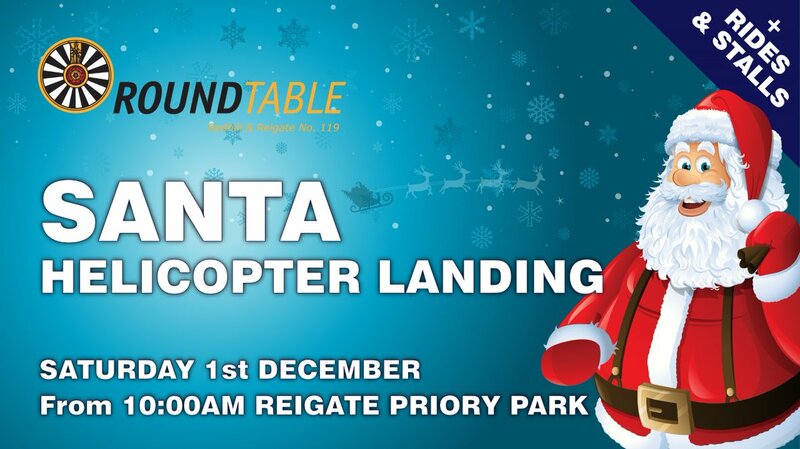 “Come and see Santa arrive in style by helicopter at Reigate’s Priory Park. Sponsored by our very generous pilots from Hystar Construction. There will be food stalls, funfair, games and more. Get there early to get the best view! Gates open 10.00am. Santa lands soon after 11am (weather and air traffic dependent). Arrive early to get the best view. There’s a Santa landing Facebook page, as well as the club’s Twitter account. 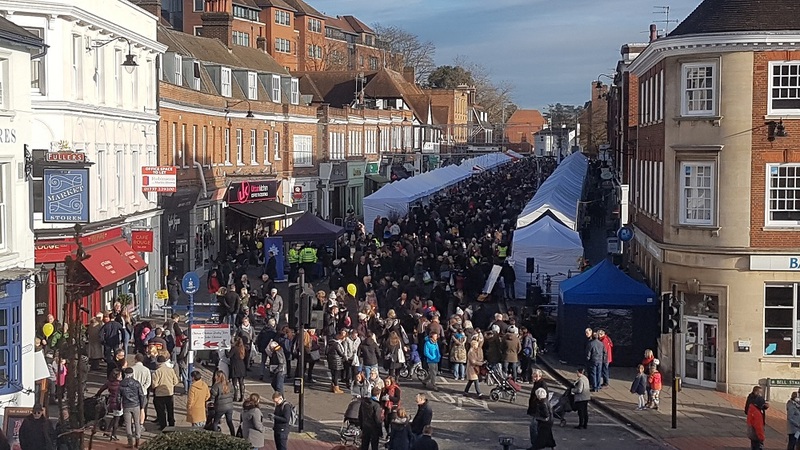 The fayre, organised by Reigate Business Guild and its volunteers, starts at 12 noon and runs to 5pm in Church Street which will be closed to traffic. There’ll be entertainment, foods stalls, a tombola and of course plenty of traders’ stalls to browse. The highlight will be the Christmas lights switch-on at 4.30pm, performed as usual by a star of the Christmas panto at the Harlequin and the Mayor of Reigate & Banstead: so this year, Ann Widdecombe and Cllr Dorothy Ross-Tomlin. One spectacle will be the lights themselves, as Reigate Business Guild has purchased new ones following a successful fundraising campaign. Reigate Business Guild has a website, Facebook page and Twitter account. More local events during the festive season can be found on our What’s On page. 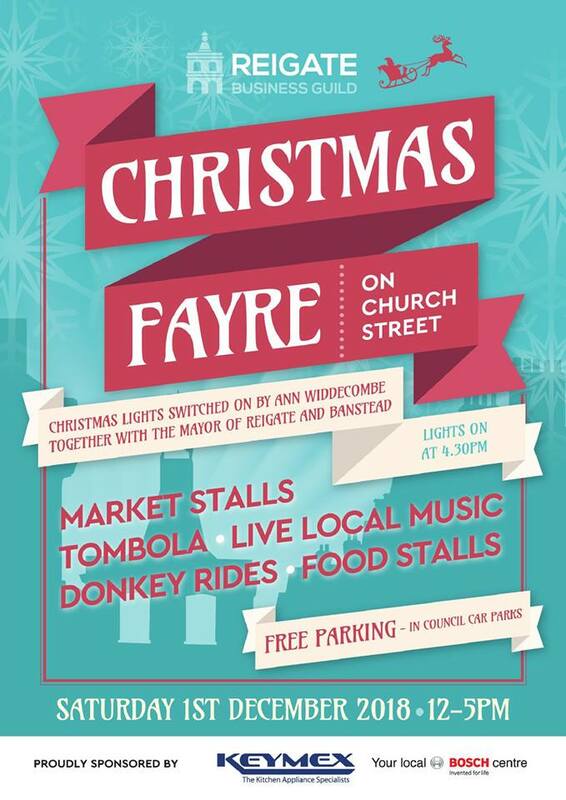 In particular, there is late evening shopping in Reigate on Thursday 6 December.